So the first distinction is between none and one (or 0 and 1). 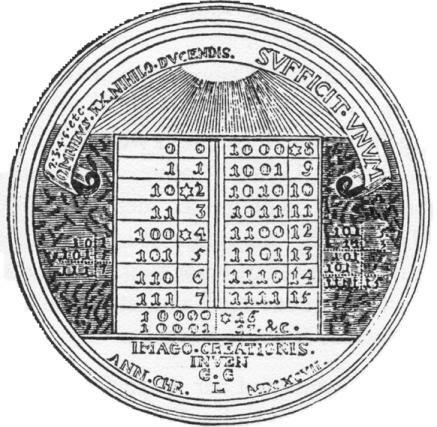 This is the yin (negative) and yang (positive) polarity of the Book of Changes, which Leibniz read in a Latin translation, and which gave him the idea that all numbers could be represented by the figures 0 and 1, so that for the series 1, 2, 3, 4, 5 we have 001, 010, 100, 101, 110, etc., which is now the arithmetic used by digital computers. I suppose this I Ching-Leibniz-binary code connection is common knowledge, but I had no idea. Alan Watts!